Perfect for the senior with a sense of humor about growing older! 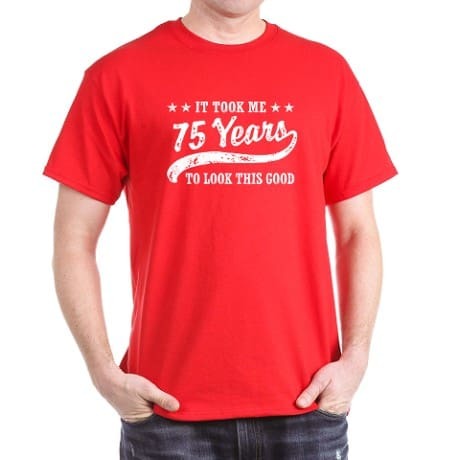 “It Took Me 75 Years to Look This Good” shirt is available in 12 bright colors – including 2 camouflage options for the man who just wants to blend in. Choose from long-sleeve or organic t-shirts. Matching pajama pants are also available – anyone who’s turning 75 deserves to feel comfortable!